If we look back, we’ll see how dramatically the eCommerce landscape has recently changed. The spread of AI technology, chatbots, coming of the new Google mobile-first ranking algorithm, new social marketing tools, and other novelties appeared to help online merchants sell more. And given that practically in every online niche the competition is ramping up faster than the growth of demand, you simply can’t ignore those new trends. If you do, you’re running a risk of being overtaken by your competitors. In this article, we’ll tell you how to align your business strategies with the latest eCommerce technologies in order to tap in to new growth opportunities. 1. Artificial intelligence — how can we use it for eCommerce? Look around — AI is everywhere. In department stores at self-checkout cash registers, at airports security checkouts, in our smartphones, laptops and tablets. It is predicted that by year 2050 most of our daily operations will be managed by artificial intelligence. eCommerce has begun incorporating AI elements as well. More and more online merchants are already using AI tools to improve customers’ shopping experience, analyze shopping behavior, segment databases, and even find new leads. Below are some examples of using AI in eCommerce. I bet you have abandoned tons of websites because they failed to deliver relevant results for your search queries. That basically happens because the onsite search is getting more complicated — more and more people tend to rely on longer queries to find what they’re looking for. Yes, there are some smart engines like Sphinx, Solr, and Elastic Search that can significantly improve your internal site search. However, none of them guarantees 100% relevant results. AI can put an end to this issue once and for all. Now there are AI and machine learning tools that are capable of learning from your customers and adjusting search results to their behavior and personal needs. Twiggle is an online service that empowers the eCommerce search engines to "think like a human". According to the company’s official website: Twiggle's Semantic API integrates into your existing search engines and provides a natural language layer, which allows engineers (and also data scientists) to create a smart mechanism that can communicate like a human, enhance website search logic, and present better results to shoppers. Another great example of incorporating AI into onsite search is Clarifai. This service enables developers tag metadata to photos, thus creating an algorithm for recognizing objects in images. That can be a whole new level of visual search on eCommerce websites. On the downside, at the moment, these services are pretty costly and are beyond the budgets of most small and mid-size businesses. Chatbots are already being widely used by big brands. For instance, TacoBot (Slack), H&M (Kik), Ebay (ShopBot in Facebook Messenger) created their own solutions for optimizing different aspects of their online businesses. Basically, chatbots are communication programs designed for a variety of purposes. Bots can interact with customers 24/7, help in configuring products and orders, handle sales, take payments, and a lot more. Most of eCommerce chatbots are custom-built. You can create a chatbot exclusively for your business needs. Nowadays, there are a lot of chatbot companies that specialize in this field. The good thing is that it won’t cost you much. Additionally, you can get a ready-to-use eCommerce chatbot. Say, if you are on Magento, you can easily install Woxy — the Messenger Shopping Assistant. The product is developed by MageWorx, a Magento 2 extensions developer. This chatbot introduces a new approach to creating wishlists. With this tool, customers can send any product from a store directly to Facebook Messenger. Thus, they won’t have to come back to your site, remember login details (to sign in) and search for the wishlist they created. All the desired products are stored right in their favorite messaging app. Also, Woxy allows customers to get out-of-stock notifications right in the Messenger, configure products before making a purchase, and communicate with a merchant in real time. All that significantly improves customers’ shopping experience and creates new buying opportunities. You probably know that smart personalization approach improves user experience and builds long-term brand loyalty. Now you can optimize this aspect with the help of machine-learning technologies and artificial intelligence. Below are some examples to inspire you. The manufacturer of bespoke men’s shirts introduced a new way of product personalization. Using a set of questions and a machine-learning mechanism, they collect maximum information about your preferences, individual body characteristics, and even shirt special features (e.g. a watch allowance on one side). Next, they create a product that is fully customized according to your requirements. The manufacturer’s website remembers all customers’ preferences as well as their measurements. So whenever you visit this store, you won’t have to enter all the required details again. You can also add multiple measurement / style sets and switch between them if needed. If you’ve ventured for changing something in your house, this website is a real godsend. Houzz.com was established to help house owners with repairing, remodeling, and redecorating their living places. All you need to do is specify a room or house type, interior or exterior styles, your favorite colors and this website will curate hundreds of images that fit your preferences. But that’s not all this service can do. 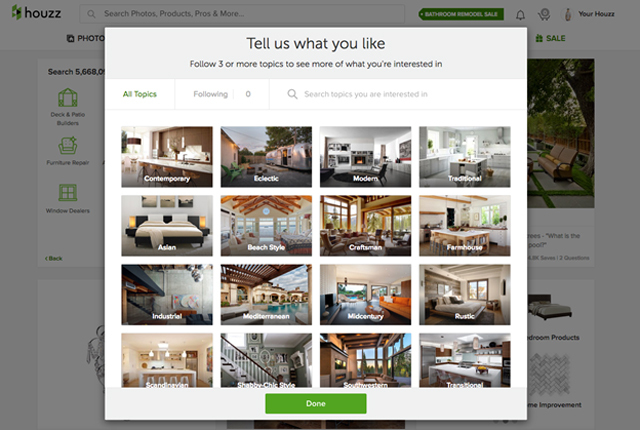 The most interesting feature is that once you find a project you like most, Houzz will automatically display you the list of items to buy for it or show you similar pieces. It can also connect you with the local decorators, designers, repairing and redecorating services, who can bring this idea to life. Thus, you can create a highly individualized project and quickly find the services that will implement it for you. Summing up, whether you’ve just launched an online business or are an experienced online retailer, you can’t ignore the AI trend in the industry. 2. Coming of the new Google rankings algorithm – who will be hit first? Google is working hard to keep its algorithms in line with users’ needs. Given that the majority of users are surfing the Web from their mobile devices now, it’s natural that the search engine started to care more about it. Last year, Google already released a couple of updates that gave advantages to mobile-friendly websites. It the beginning of 2017, there was alarming news about the search engine rolling out a “mobile-first” version of its index, which stirred a lot of questions and debates among eCommerce store owners. Later in March, at SMX West, Gary Illyes of Google reassured us that the new algorithm is going to be released only in the 1st quarter of 2018. Anyway, sooner or later, this algorithm is going to be the dominant on the web. Hence, you should prepare for its advent in advance. So what is the mobile-first index about? At the moment, Google sees all websites through the eyes of a desktop user. The new algorithm is going to change that. When the mobile-first index is out, the search engine will view each page as a mobile user, and its desktop version will be of secondary importance. According to Moz, "mobile first" was already rolled out for a small group of websites. But as said above, it’s unlikely to be released before 2018. So you still have time to get your websites ready. First, if you have a mobile version of your website, you should make it as similar to your desktop version as possible. This is about preserving the same or similar amount of content, saving important links, page and site navigation elements, etc. An ideal approach is to make carefully considered and planned responsive version of your desktop pages. This way, most of your content will remain the same, not reduced for mobile. Same thing is with most of your site navigation elements and important internal links. Here are the aspects to consider first, when making a good responsive design. As for canonical links, you don’t need to change anything about them. Google will continue to use these links as guides to serve the appropriate results to a user searching both on desktop and mobile. The most popular tool to check you mobile site view is the Fetch and Render tool in the Google Search Console. You just need to specify the mobile:smartphone user-agent and then look at your site preview. This is basically the same mobile version of your website that Google sees. If you notice that some content or links are missing, you should fix that and then run the tool again. 3. New social marketing tools — how to use them right? The most fascinating thing about the world of social media is that it keeps evolving. 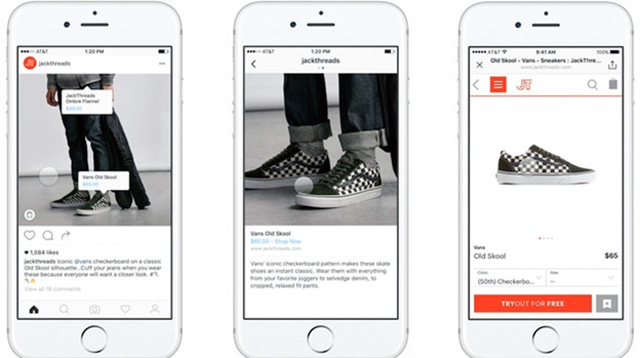 Cool features appear almost every month, giving eCommerce merchants new opportunities to promote their brands and sell a bigger amount of products. The only thing one needs to do is to take advantage of the new social features and use them the right way. Let’s see what has recently appeared in the world of social. Snapchat was a pioneer in this field. Later on, Instagram, Facebook, VK, and other social networks have also adopted this technology and started deleting content after a certain period of time. Such content can be successfully used by eCommerce vendors for a number of reasons. First, it creates a sense of urgency — prospective customers know that this video is going to be deleted so they don’t postpone watching it. Second, this content exists only while it is relevant — your customers won’t be shown a promo image of a sale that ended a couple of days ago. And last but not least, expiring content gives merchants the possibility to cut through the informational noise and reach potential buyers in the places they spend most of their time. promote an upcoming event (sale, trade show, conference) or tease a product that will be on sale in your online store soon. Recently, Instagram added a very useful option — the so-called shoppable tags that let merchants tag products right in their photos (the way users can tag their friends). That significantly improves customers’ shopping experience and lets them purchase a product in a couple of clicks. Facebook lets you do something similar, when you create an ad. You can add a "Buy Now" button with a link to your product right under your Facebook post. 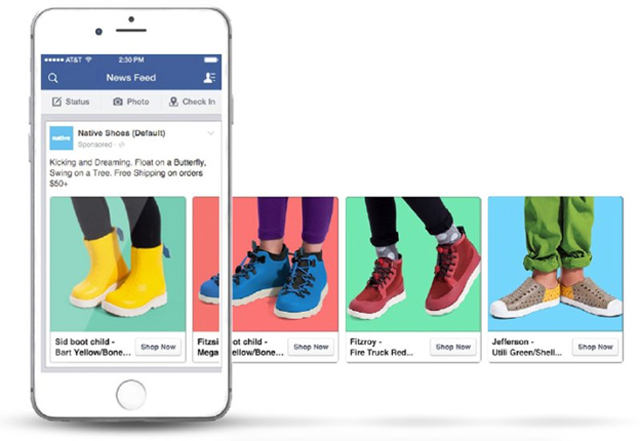 Moreover, Facebook allows you to create dynamic ads with links to several products. So in case you would like to show your products to people who've already expressed interest on your website, you can create an ad of such type. As for other social networks, Pinterest allowed direct buying on their site, however, it's still unclear how popular this feature is with the network users and eCommerce consumers. Twitter also tested something similar, but for some reason they didn’t add such an option for all users. The fact is — we live in a fast changing world. The practices and tactics that used to work well may be no longer effective now. So to stay afloat, you need to keep educating yourself and master new things in your niche. Have you tried any of the things described in this article? Did they work well for your business? Feel free to share your opinion in the comments section below. Vitaly Gonkov is Chief Marketing Officer at MageWorx – one of the leading developers of plugins for Magento extensions. Vitaly has been actively involved in online marketing since 2010. He has a broad range of expertise that spans many different types of eCommerce strategies and techniques. He is passionate about blogging, social networking, and enjoys the challenges presented by the dynamic industry.